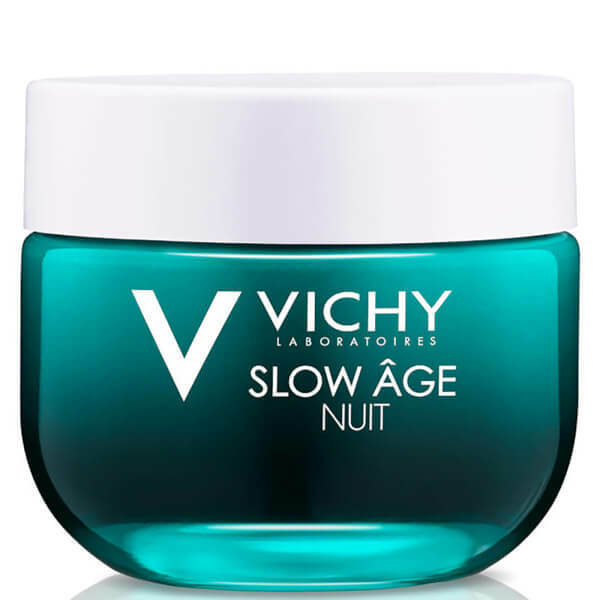 Rediscover your skin's youthful vitality with Vichy's Slow Âge Night Cream & Mask; a multi-tasking, quick-absorbing formula that works to restore a radiant glow. 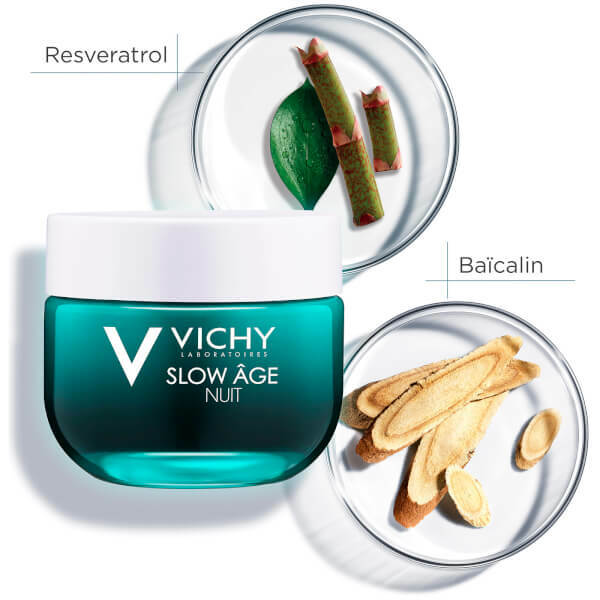 Infused with a cocktail of beneficial ingredients, including natural Resveratrol and antioxidant Baïcalin Root Extract, the gel-like texture regenerates and revitalises dull skin that has been suffocated by pollution, stress and environmental aggressors. The brand's soothing Mineralizing Thermal Water delivers long-lasting moisture and hydration. 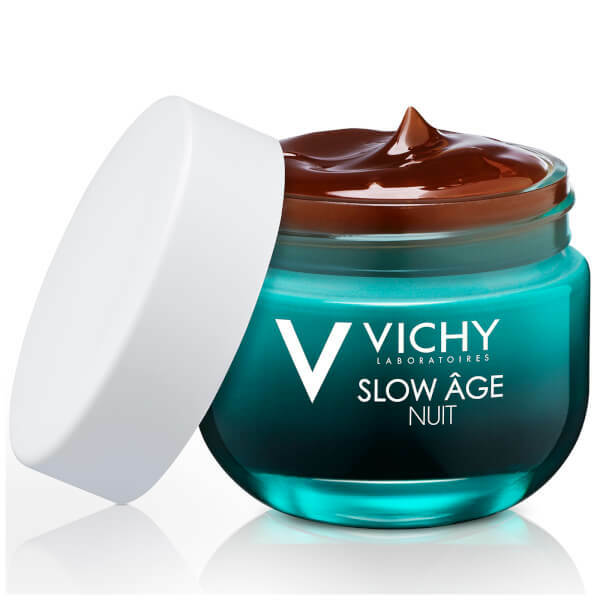 Helps to improve skin tone and texture, whilst fighting signs of ageing to minimise the appearance of fine lines and wrinkles. Use each night as a replenishing cream, or twice a week as a more intense treatment. Thoroughly cleanse the skin and pat dry. 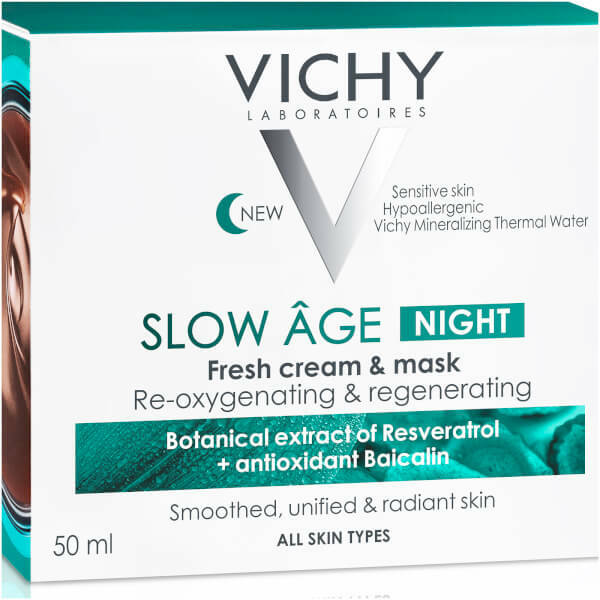 Apply as a cream in a thin layer every night. Massage across the face and neck, taking care to avoid the delicate eye area. Use as a mask once a week. 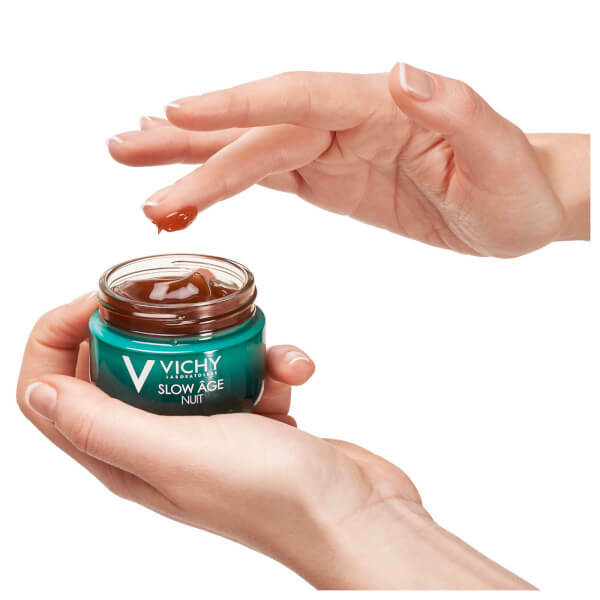 Apply to the face and neck in a thicker layer and leave for 10 minutes. Remove any excess with a dry cloth. Aqua / Water, Dimethicone, Glycerin, Propylene Glycol, Niacinamide, Alcohol Denat., Dipropylene Glycol, Bifida Ferment Lysate, Caffeine, Sodium Chloride, PEG/PPG-18/18 Dimethicone, Tocopherol, Caramel, Sodium Benzoate, Adenosine, Phenoxyethanol, Scutellaria Baicalensis Root Extract, Resveratrol, Parfum / Fragrance.